Significant improvements over the past several years in material growth processes, material purity, and doping of diamond have led to the emergence of active diamond devices with increasingly impressive performance levels. In addition, the development of nanoscale diamond materials has increased the number of application areas for diamond devices. Particularly important topics now being addressed are the use of diamond within bioelectronics and biotechnology, quantum computing and quantum cryptography, high-temperature electronics devices, and advanced detector technology. Passive use of diamond within electronics is also increasing in importance, with the low-temperature growth of diamond films on other semiconductors for heat-spreading applications being actively considered by major chip companies worldwide. 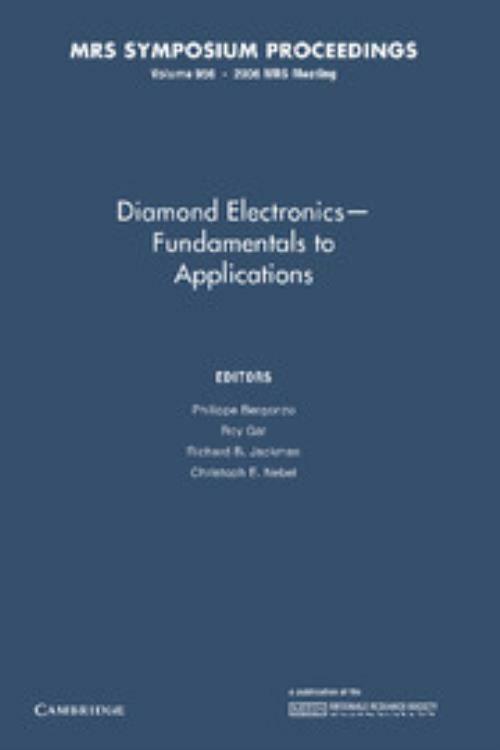 This book, first published in 2007, features significant results from leading scientists and engineers with both fundamental and applied interests in the diamond field.